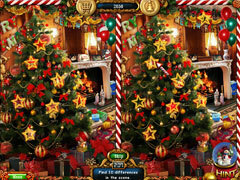 Another sensational Christmas Wonderland game for everyone to enjoy! Christmas wouldn't be Christmas without a new Christmas Wonderland! 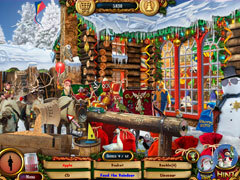 Christmas Wonderland 5 is crammed full of fabulous HOG scenes, lots of truly superb mini games, and puzzles for players of ALL ages. It also features Santa’s Interactive Advent Calendar. 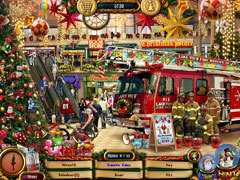 Buy presents and get game rewards and achievements as you play along. See Bob’s Christmas Tree Farm, decorate the house, go mall shopping, visit Mike and Mary’s Grandparents. Meet Elves and Rudolph at Santa’s North Pole Workshops, Find 12 Days of Christmas items, then wait for Santa to arrive on Christmas Eve. 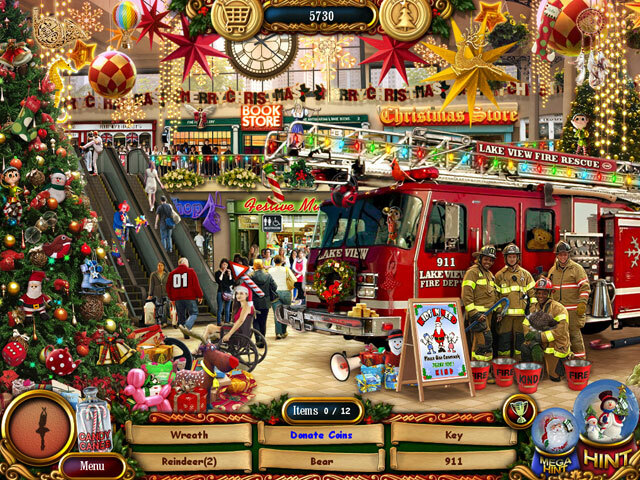 Christmas Wonderland 5 really is the best Christmas game yet. Enjoy! !